Beck Packaging, based in Allentown, Pennsylvania, is a major distributor of industrial packaging supplies, packaging equipment and janitorial and safety supplies in the Pennsylvania, New Jersey and Delaware markets. April 1, 2019 (Press Release) - Central National Gottesman Inc. (CNG), which owns a range of sales and distribution businesses in the global pulp, paper, tissue, packaging, wood products and metals industries, announced today that its Lindenmeyr Munroe division has acquired Beck Packaging, expanding its presence in one of the industry's fastest-growing segments. Beck Packaging is based in Allentown, Pennsylvania, and is a major distributor of industrial packaging supplies, packaging equipment and janitorial and safety supplies in the PA, NJ and DE markets. 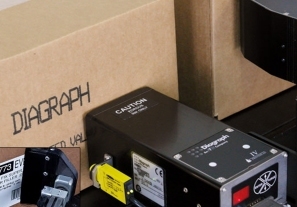 Beck also provides technical support and maintenance for packaging machinery in businesses throughout the region. "As CNG continues to grow, we are committed to diversification and ongoing expansion into new product areas and new markets," said Andrew Wallach, CNG President and Chief Executive Officer. "With the acquisition of Beck, we are pleased to add talented packaging specialists whose reputation for excellent customer service is well-respected in the business." Wallach added that Greg Stoudt, President and CEO of Beck, will continue to manage the operations in Allentown as Vice President and General Manager. The company will operate under the Lindenmeyr Munroe name. "We expect a seamless transition for customers and suppliers, as well as allowing Beck to leverage our core strengths of technology, customer service and product availability," said Lindenmeyr Munroe President William Meany. "We look forward to further expanding our fast-growing packaging business, as well as improving the services and products we offer our packaging customers." Lindenmeyr Munroe, the largest privately held independent paper merchant in the U.S., is committed to ongoing investment in its core business of commercial printing papers while diversifying into growth areas such as wide-format, packaging and JanSan. To learn more, please visit: www.lindenmeyrmunroe.com. SOURCE: Central National Gottesman Inc.